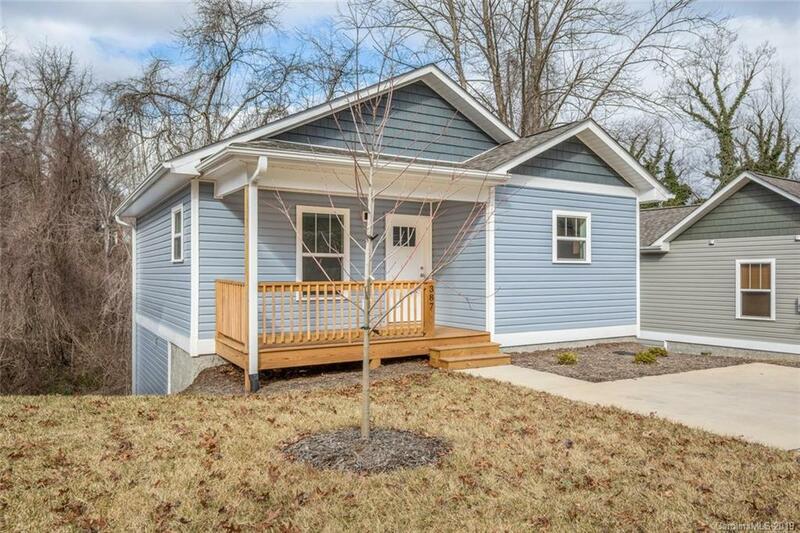 Brand new Energy Star home in South Asheville. Close to shopping and dining in Biltmore Village and downtown Asheville. Bikeable to Hi-Wire Brewing, Rezaz and Corner Kitchen. Sparkling kitchen opens to dining and living area with durable flooring. Master bedroom has walk-in closet and new carpet. Bright stairs lead to 2 bedrooms and 1 full bathroom in the basement. Basement has separate entrance and washer/dryer closet. Extra storage closet in basement. Covered front porch looks over professionally landscaped yard. See brochure for details.